Proposed by GPJ member Daniele Cereghino, also a member of Neal Schaffer’s ‘Windmill Networking / Izakaya Club’, here’s a joint event you’ll want to RSVP early, to ensure a spot. “GoodPeople is known for the high quality and the focus of its meetings: unlike huge events for collecting cards, I personally appreciate the real strong spirit and commitment of all the members for helping each other. Some of GoodPeople members already know Neal Schaffer, not only as an expert if not evangelist of LinkedIn, Social Media networking & Social Media marketing, but also as a very good person: he is the founder of Windmill Networking and the Linkedin Group of the same name, where members follow the same philosophy (some of us share both memberships). 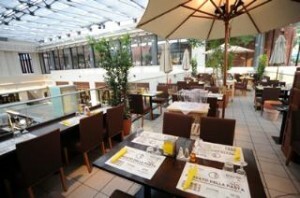 Based in US these days, Neal visits Japan often, having lived & worked here for many years. 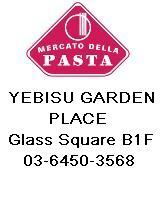 There will be a meeting in Ebisu Garden Place, Nov. 19th, in an Italian Restaurant MERCATO DELLA PASTA (in Yebisu Garden Place, Ebisu) that will reserve a space for us, offering a set of Italian food and drink with a nomihodai formula: Good food, good drink, good topic and GoodPeople ! This entry was posted in GPJ and tagged Goodpeople, GPJ, Neal schaffer, social media, Windmill by GPJ. Bookmark the permalink.